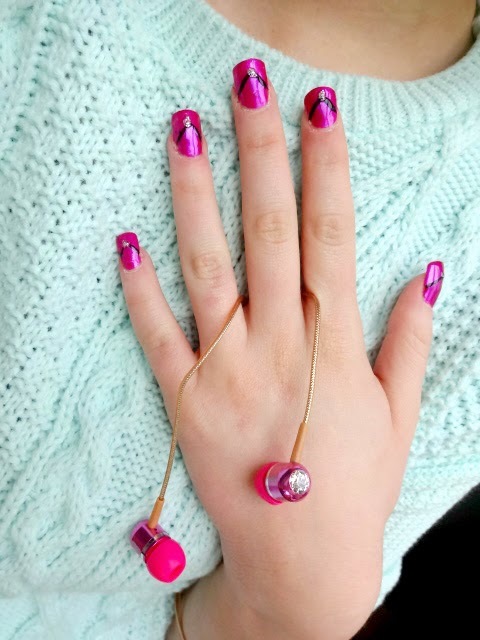 Recently I was contacted by the lovely Laura asking if I would like to create some nail art based on these gorgeous earphones. 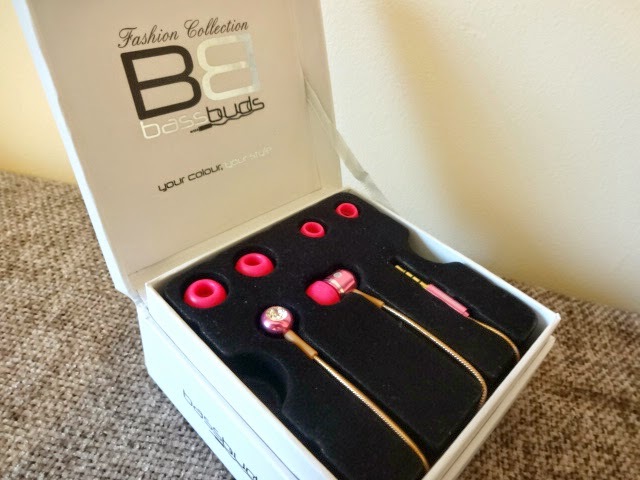 BassBuds* are collaborating with top nail artist Roxanne Campbell to create gorgeous nail looks based on these fashion collection earphones. 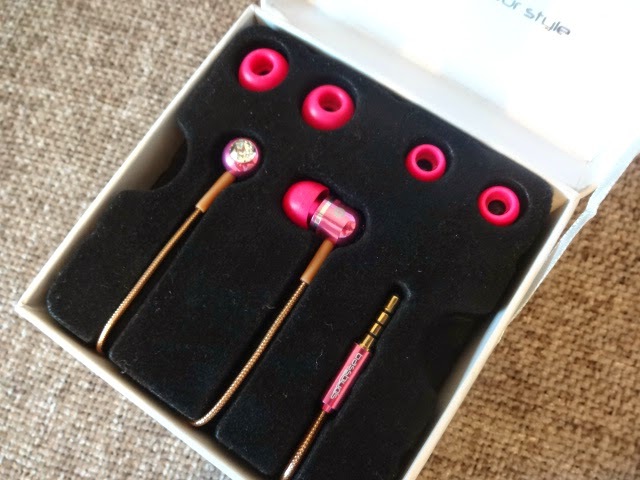 I was super excited about this because as you may have noticed, I am super girly and these are so perfect to use when I'm on the bus to work! So of course, I put on some nail extensions to make my nails look more polished and perfect. Can't be trying to make short, stubby nails look slick! Then I used one of my favourite nail polishes which actually doesn't have a name, all the writing has completely rubbed off! But you could use any similar shiny pinky/purple colour, I personally like the way this one is very slightly metallic. 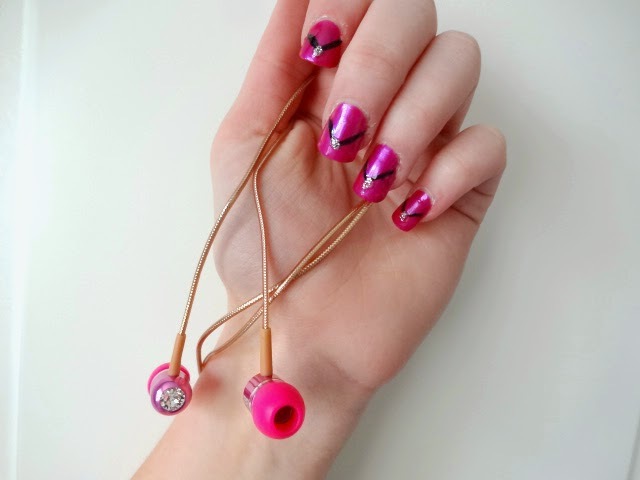 The aim with the black lines was to resemble the shape of the earphone, I'm not too sure how that worked out to be honest but I like the way it looks on the nail art and it adds something extra! Then of course, the silver, sparkly dots resemble the Swarovski crystals. 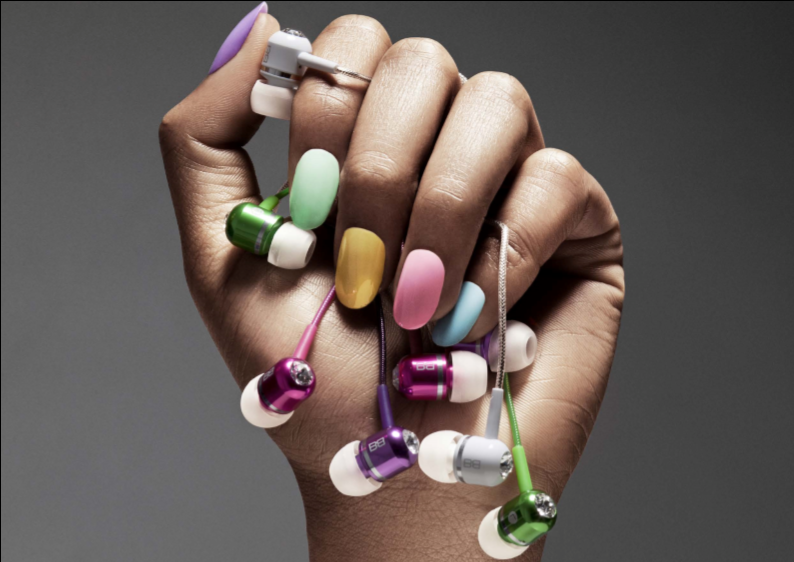 The last photo is from the BassBuds X RC collection, which clearly is much better than my nail art! I'm still happy with how my nail art turned out though, it was neater than I thought I could make it with my shaky hands! 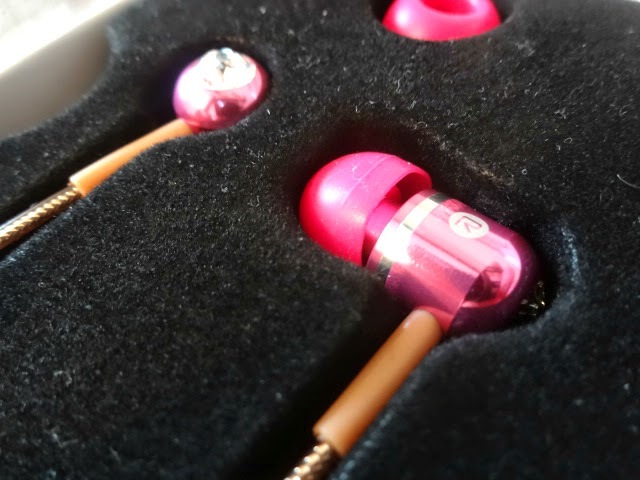 If you're after some new earphones but want some that have not only an amazing sound system but also look pretty damn amazing, these are just perfect. I am so pleased with them and it was so cool creating nail art to match them! Hope you like my nail art! Beauty UK 'Halo' | MAC MSF Dupe?